Thank you to all who attended Steps to Self-Love with Zakia! The workshop was beautiful, honest and very much needed. At the start of the event, we discussed what self-love meant to everyone. A major recurring theme was that today’s society often forces us to judge ourselves and compare our journeys to that of others, which can impact the way we view ourselves and can determine our worth. Immediately, we knew that it was vital to use the workshop to get rid of preconceived notions of success and worth. We asked the guests to sit with their thoughts in silence for five minutes. During the discussion afterwards we noticed that some people had negative thoughts about themselves and others had erratic thoughts about day-to-day life, whether that was their job, uni, or just life in general.We introduced meditation, with a focus on deep breathing, and its benefits such as increased emotional health, attention span, focus and the reduction of stress and anxiety, which in turn will allow you to connect with yourself better. We all know the saying “sticks and stones may break my bones, but words will never hurt me”. In fact, words often hurt the most. We asked everyone to write a note with one negative thing they always say or think about themselves and put it into a cup. Zakia read them out and people had the opportunity to explain where that stemmed from, before opening it up to the group to discuss it, or they could remain anonymous. A lot of the notes said similar things, appearance, intelligence, clothing, lack of confidence. This was really emotional and there was not a dry eye in the room. We wanted to combat that negativity by instilling confidence, so we asked everyone to reintroduce themselves by saying their name and three things they like about themselves. We live in a culture where shouting about your qualities or achievements is frowned upon, but we allowed the guests to fully express and declare how and why they love themselves! As much as we’d love to, we couldn’t solve everybody’s problems in a three-hour workshop. And there are things that we all hold in that we don’t want anybody knowing about. So, finally we asked everyone to write a letter forgiving themselves for whatever it may be and apologising for not realising their strength and neglecting to love themselves fully. We discussed the importance of accepting and embracing our flaws and not blaming ourselves for what we may deem to be shortcomings. Some of the guests then read their letters to the group – and the emotions were high once again! 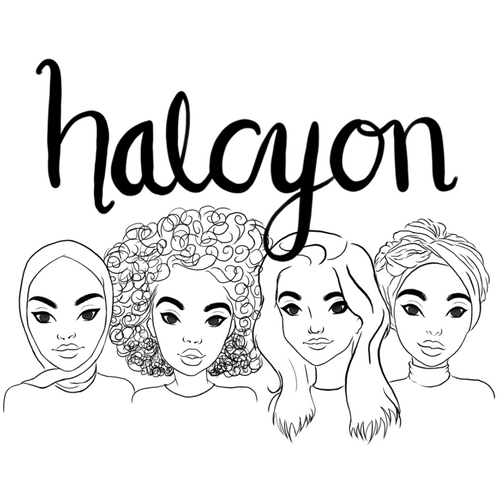 Thank you all once again for joining us and thank you to Zakia for collaborating with Halcyon on such an important project. We hope to see you all again soon for another event!